March 10, 2014 in "Singer Irish 107w102", "bright", "colour", "embroidered flowers", "embroidery", "floral doodle", "pattern", "stripes"
Well, I was totally meant to be doing my website update today. 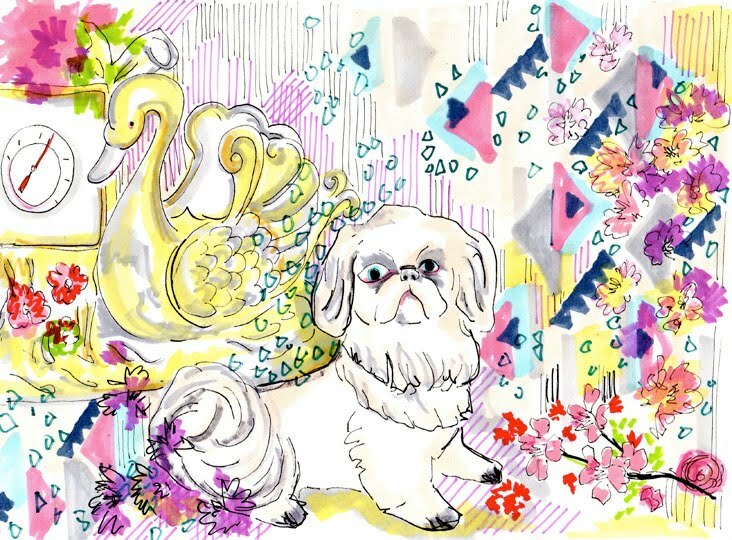 Instead I drew a pug in a headscarf and did another Floral Doodle! I've got quite a few on the go now, and they're building up to be a nice little collection.